Information contained on this page is provided to you as a guideline only. It is your responsibility to contact the Apartment/Housing providers to obtain current prices and availability. Notes: Sectection 8 accepted. Special needs required: Single Parent|Large Family|Handicap|Homeless. 1/2/3 Bedroom units available. Income limits apply. Eligibility - anyone 18 years and older that need affordable housing, for low income families. Rent is based on income base. This is a 100 unit Turnkey Development. Thirty of the units are for the elderly and handicapped and seventy units are family units. Eligibility:58 Units. 1, 2, & 4 Bedroom All accessible for Disabled & Handicapped. Must be 18 or older. Eligibility: Rent is based on income. Call for pricing. Some units are handicap accessible. All units have central air and heat, carpet, mini blinds, pest control and maintenance service. There is also a laundry mat on site. 20 One bedroom units. 4 Two bedroom units. 2 units are for handicapped. Rent is based on income. Notes: Phase I and Phase II facilities. The Bloom is a three-story building with studio, one and two bedroom apartments. The building and individual apartment design with concept that will allow easy modifications to enable residents to Age in Place through assisted service additions. 119 units. Eligibility:All accessible for elderly, disable or handicapped. Call for pricing. - 1, 2 and 4 bedroom units. Notes: Eligibility: 16 Units Each. 1, 2, & 3 Bdr.All accessible for disabled & handicapped. Must be at least 18. Income limits apply. Eligibility:Must be 55 or older or drawing mental/physical handicap. Income limits apply. The apartments are operated within the Fair Housing and Equal Housing Laws, which means everyone is invited to come out and look us over. In addition, we have facilities to make living easier for the handicapped individuals. Our units are very energy efficient. They are built to strict FMHA requirements. We offer: Rental Assistance; Senior Cititzen/Handicapped Provisions; Energy Efficient Heating System; Washer & Dryer in units; 62 years of age or older, handicap/disabled, regardless of age; Family, Income Limits Apply. Call for pricing Monday-Friday 9am - 12pm. Eligibility: 62 or older. Newly remodeled. Gated Community,Video Security,24 monitoring, barrier Free apartments. Eligibility: Rent is based on income. Two story/brick/siding. 1-2-3 bedroom apartments are available. Eligibility: Senior Adult or disabled. Rent is based on income - 142 apartments. Some 1st floor apartments are designed for wheelchairs. Lesa Townsend is Leasing Agent. Central Park is a HUD facility for Seniors who qualify for low-income housing. Eligibility:48 Units. 2, 3, & 4 Bedroom. disabled & handicapped. Efficiency, one and two bedroom units. Call for pricing. Eligibility: Must be 62 years or older in good health or mentally/physically able to live independently. Must provide doctor's certificate. Eligibility: 62 year or older and or handicapped. Rent is based on income. This is a 3 story building with an elevator. Every apartment is a one bedroom efficiency. Has A/C and heating unit. Carefree independent living within The Oaks of Louisiana. Spacious one- and two-bedroom ground floor designs, with full size washer and dryer. Lunch served daily in elegant Community Centre dining room or delivered to residence for a fee. Membership available to Spa and Wellness Center with indoor saltwater pool, exercise studio and spa services. Housekeeping, complimentary scheduled transportation, 24/7 security and more.emergency buzzers in each apartment. Day room activities are provided. There is central heat and air conditioning. Stove and refrigerator are in each unit. 32 units available with 16-one bedroom units and 16- two bedroom units with 2 of these units designed for the handicapped. Rent is based on your income. Call for pricing. Caddo Parish received some housing vouchers from the Federal Government to assist families with their rent and we gladly accept these families with vouchers. Each apartment has central air and heat, electric range and a frostless refrigerator. They are fully carpeted with mini-blinds installed. A laundry room is located on site strictly for the tenants use. We offer a comprehensive maintenance service including pest control service once a month at no additional charge to the resident. 24 Units. 1 & 2 Bedrooms. Eligibility:All Elderly, Disabled & Handicapped eligible. Income limits apply. Eligibility: Must be 62 yrs. and older. 48 One-bedroom units, 600 square feet with range and refrigerator. Including 5 handicap units. Based on income. Section 8 accepted. Independent Living. Office hours: Monday,Wednesday, and Friday from 1pm-5pm. Thursday 9am-5pm.Accepts section 8, 32 units. Independent living. Shreveport’s premier residential community for ages 55+ offers maintenance-free living and an active, healthy lifestyle. The Oaks includes independent living, assisted living and total care options, all on one beautiful campus - Tower at The Oaks, Garden Apartments at The Oaks, Savannah at The Oaks and Health Center at Live Oak/North Pavilion, plus the wonderful amenities that include our Spa & Wellness Center, MarketPlace and Chapel. Concierge community for ages 55+ located within The Oaks of Louisiana. Focuses on healthy, active living. Features 19 floor plans, spacious apartments, many with balconies and lake views; membership to Spa and Wellness Center with indoor saltwater pool, exercise studio and spa services; dining options, weekly housekeeping, complimentary scheduled transportation, 24/7 security and more. 24 Units. 1, 2, & 3 Bedroom Disabled & Handicapped Eligible. Section 8 accepted. Call for pricing. Rental Assistance available on some Units. Energy Efficient Heating System. Laundry facilities. One, two, three bedrooms available. Carpeted & Mini Blinds. Professionally managed by Tra-Dor Management, Inc. 318-221-1760.
based on income. 85 Section 8 units. All units have central air and heat. Some handicapped accessible units are available. We are currently taking applications for the waiting list only, Application accepted on Wednesday 1pm-3pm. 78 apartments, Independent Living. Rent based on income. Eligibility: Income must be at least 3 times amount of rent. Credit check. No felonies or evictions. Rent is determined by income. All electric. 32 Units with 16 one-bedroom and 16 two-bedroom units. Two of these units for handicapped. Call for pricing. Section 8 voucher holders welcome. Central heat & air. Washer & dryer connections available. Pest control once a month at no additional charge to resident. All units have wide doorways - all handles are user friendly. Each unit has range, refrigerator, dishwasher, garbage disposal, full size washer/dryer, fully carpeted, lifeline emergency system, trash pickup at door 2 days a week, onsite maintenance and management. 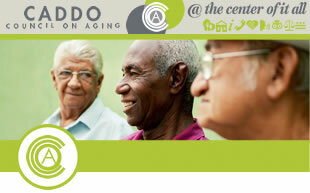 Affordable living for seniors 62+ with moderate incomes. One bedroom apartments, controlled access building, elevator, emergency call system, small pets welcome. Handicap units available. Eligibility: Rent income based. Handicap units. Section 8 accepted. Eligibility: All Elderly, Disabled and Handicapped. Lovely, quiet 40 ground level apartment community in a country setting. All apartments are handicap accessible, with wide doorways, grab bars in bathroom, emergency switch in bedroom and bathroom, smoke detectors, fire extinguishers, phone jacks and cable ready for your convenience. All electric, energy efficient, with frost free refrigerator/freezer, electric stove, 30 gallon hot water heater and fully carpeted. One bedroom units are approximately 600 square feet (Call for pricing) and two bedroom units are 800 square feet (Call for pricing). Washeteria on site and open 24 hours. Maintenance service available. Scheduled lawn service and pest control at no cost to tenants. Monthly activities planned in our Recreation Room for your enjoyment. Manager lives on-site. Eligibility: Elderly, Disabled or Handicapped. Annual Income Qualification, Police History and Background Check. Intake Procedure:$25 application fee. Completed application, proof of income, security deposit same as rent. (money order only) and water and electric account numbers by move-in date. Rent is based on income. All three of our housing developments have housing for the elderly (50+). However, Twin Oaks is elderly only. Independent Retirement Community. 62 yrs. and above. Apartment style living. Services include: Utilities, Basic Cable, Weekly Housekeeping, Three Daily Meals, Complimentary Transportation, Full Activities Program, 24-Hour Staff, Emergency Cords in Bedroom/Bathroom. Independent Living. Small pets accepted. 170 units, 18 handicapped. We pay utilities (electric, water & sewage). No gas on property. Close to Bus Stop, shopping and churches. Beauty shop, Activity Room, Picnic Areas, weekly prayer services. All units accommodate easy accessibility for senior living. Eligibility: 62 yrs. and older. Rent is 30% of retirement or all income. 32 Units. 1 & 2 Bedrooms. Rent is based on income. Applicant must pass a background check and a credit check. Call for pricing. There is a Laundry Room, Playground, Central Heat and Air Conditioning. Units are all electric. There is night time security and it is handicap accessible. Section 8 accepted.